Production of today‘s SMT boards for prototyping or small batches requires tools to ensure the highest quality standards. 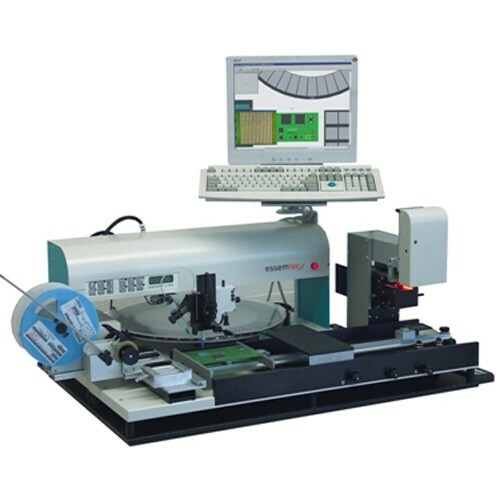 The EXPERT-LINE system provides you with a complete family of pick and place machines. Over 2000 systems are in daily use worldwide. The EXPERT-M manual pick-and-place systems are widely used in prototyping laboratories all over the world. Single and multiple boards with delicate components can be assembled quickly and accurately. The EXPERT-SA semiautomatic placement systems are ideal for complex prototypes as well as for efficient production of small batches. The software control and linear scales guarantees placements of the correct component on the correct pads and a higher working speed. With the EXPERT System all kinds of components can be placed, simple resistor chips as well as QFP with fine pitch leads or BGA.